The Really O’Cool is a fully sealed rugged industrial keyboard engineered to handle the most challenging environments. 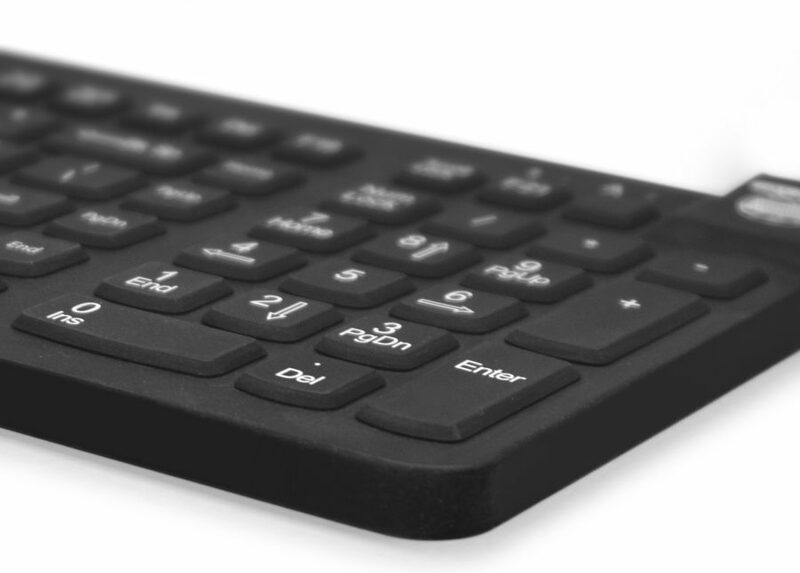 Based on our Really Cool Keyboard, it features no mechanical moving parts to break or fail. Its unibody design is impervious to dust and oil and is grease resistant. This makes the Really O’Cool the perfect solution for dusty, dirty, greasy, oily environments. 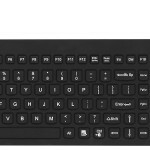 Its built-in Tru-Lock feature allows locking the keys and cleaning the keyboard without needing to close open programs or disconnecting the USB cable. Use standard industrial cleaners or wash with soap and water. The key printing won’t wear off and the tactile feedback is excellent. The Really O’Cool keyboard is proudly born in the USA outside of Washington, DC. The optional individually illuminated keys enable accurate typng in low-light conditions. 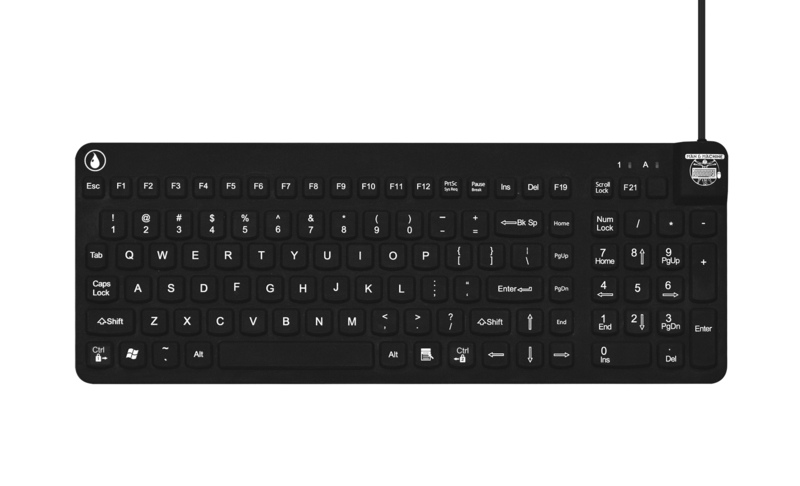 Add our magnetic mounting system and your keyboard will hold on any ferrous surface. Don’t compromise. 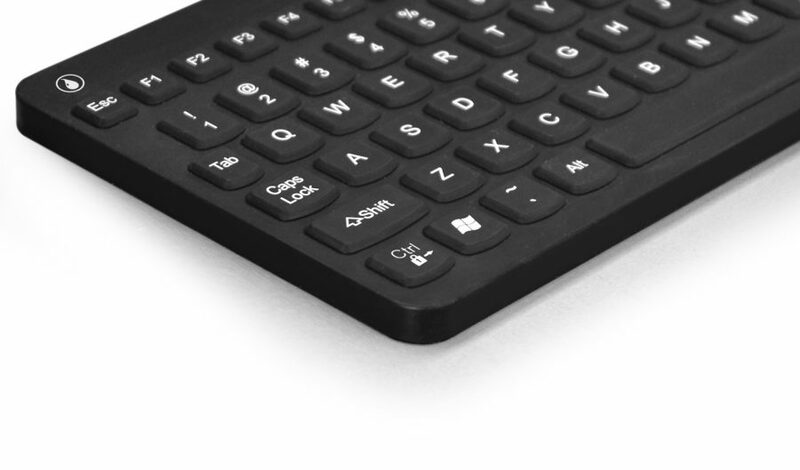 Accept no less than the new standard in oil resilient keyboards — Really O’ Cool. Categories: Waterproof Keyboard Product Line, Specialty Products, Laboratory Keyboards and Mice, Oil Resistant Keyboards For Factories, Industrial Keyboards - Oil Safe.